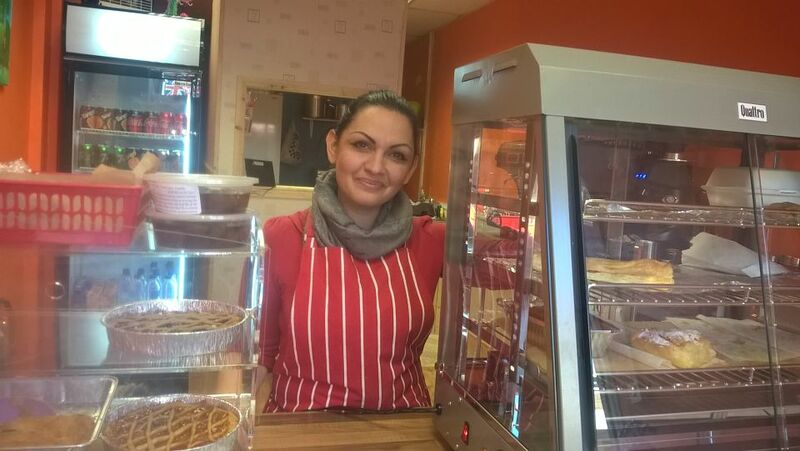 Visitors to Chelmsford town centre now have the chance to sample a taste of authentic Greece since Stella Coutsavakis launched her dream business in December 2016. Stella’s Little Bit of Greece is a unique Greek coffee house and patisserie located on Moulsham Street. Having always enjoyed hosting parties and making the food from scratch, friends and family encouraged Stella to pursue her natural talent and flair for creating dishes inspired by her heritage. We spoke to Stella to find out more about her new venture. I have a real passion for what I do. I love creating dishes, seeing my customers’ enjoyment of them, and hearing their feedback. My father has his own Greek Restaurant, so cooking definitely runs in the family! How did Nwes support you? I had no prior knowledge of running a business, so I approached Nwes. I was put in touch with local Business Advisor Gillian Austen. Through 1-to1 support and advice sessions, e-mail and phone support, I was finally able to take the important step of writing a business plan and understanding finances. I also successfully applied for a Start Up Loan, which really injected momentum into the new business venture. The Start Up Loan meant that I was able to secure premises, equipment, stock, as well as paying for insurance, marketing, and some alterations to the shop to ensure it was fit for purpose. My start-up journey hasn’t been without some challenges; some of the equipment for the shop was too large so I had to store it until a buyer could be found. The hard work was worth it though when I held the launch event, which was a great success. Now, the same customers keep coming back which is great! My first customer walked through the door at 8.04am on the day of opening. It was really exciting. What does the future hold for Stella’s Little Bit of Greece? There’s a lot to look forward to. I will continue to receive support from Nwes through the Start & Grow programme, which will help me to make the most of Stella’s Little Bit of Greece and the opportunities that it may bring. I am the only one working in the business at the moment. I hope to open a second shop, or be busy enough for my husband to be fully employed by the business as well. I also hope to have a solid customer base and be making a decent profit from the business. I came into all this completely clueless and Nwes have been great with information and help. I am so fortunate to still have the support of my Business Advisor and the ongoing mentoring that I will get. I am very grateful for this. I have already recommended Nwes to others who are looking to start their own businesses.